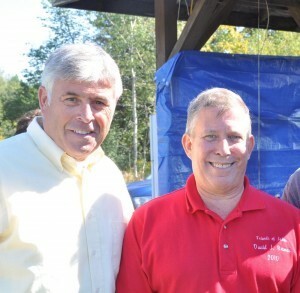 Senator Darrel Aubertine and Judge David Roman at the annual golf tournament and steak bake in Hannibal. The Hannibal Democratic Committee will host an open house for Darrel Aubertine, Bill Owens and David Roman. The event will be an opportunity for voters to meet the candidates, discuss issues and ask questions. It will be held on Sunday, October 24 at the Hannibal American Legion from 1:00 to 2:30pm. There is no cost to attend this event. The committee will also be hosting a turkey dinner at the same location starting at noon for those who would like to eat, but dinner purchase is not required. 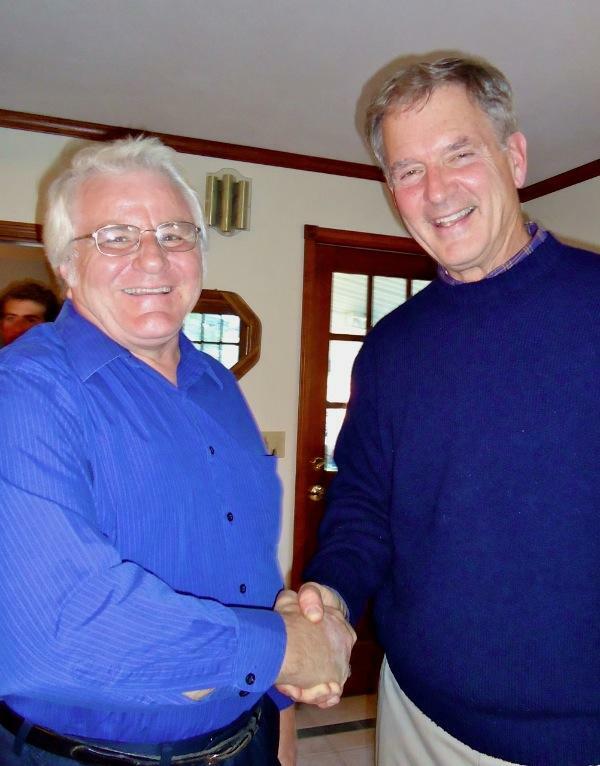 Hannibal Committee Chair Gordon Prosser greets Congressman Owens in Oswego.